Getting charged with a DUI can be a very stressful and embarrassing experience. Many individuals who are arrested for driving under the influence are good people who have never been involved with the law! This can make the experience even more distressing, as you have no idea what to expect as you progress through the criminal justice system. What’s more, you may have worries over your ability to drive. What if you lose your license due to a DUI? How will you get to work? How will you care for yourself, your children or your family? Will you face jail time? And fines? It’s normal to have lots of questions and concerns following a DUI arrest. But this is where you can benefit from working with an experienced attorney like the team of Snohomish County DUI Lawyers with The Law Offices of Kevin Trombold, LLC. Our attorneys work with clients from across the region, including King County, Pierce County, Everett, Tacoma and beyond. As your DUI defense lawyer, we will work hard to defend you and your future as we strive to minimize any penalties. Our attorneys can represent more complex DUI cases too, including those that involve additional charges, such as vehicular homicide, hit and run and drug charges. In fact, our criminal defense lawyers represent a vast array of criminal cases. 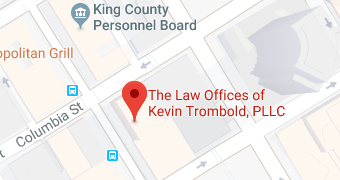 At The Law Offices of Kevin Trombold, LLC, we are here to help you deal with DUI charges in Snohomish County or the surrounding area. Contact The Law Offices of Kevin Trombold, LLC to schedule a fully confidential case consultation. Just call 206-382-9200. It’s normal to have lots of concerns and questions after a DUI arrest, especially if you’ve never been arrested before. In fact, for many, the imagined penalties and consequences are far worse than the actual consequences. So addressing your concerns can go a long way toward alleviating the stress that our clients experience following a driving under the influence arrest. Our legal team has compiled answers to a few of the most common issues that we address with our clients. What is the Legal Limit for DUI in the State of Washington? In the State of Washington, the legal limit for alcohol is determined by your blood alcohol concentration (BAC). This state has per se DUI laws, which means that the actual level of impairment is not the primary point of consideration; BAC is the primary factor that is considered. Therefore, if a driver exceeds the BAC limit, they are subject to arrest, regardless of their actual degree of impairment. In other words, even if you pass field sobriety tests, your BAC can serve as grounds for a DUI arrest. The legal limit is currently a BAC of .08%, which is calculated using a 210-liter breath sample. It’s important to understand, though, that there are some drivers who are subject to a lower BAC limit. For drivers who are under the legal drinking age of 21, the BAC limit is .02%. For commercial drivers, the legal limit is .04%. In cases where a driver has a BAC of .15% or greater, authorities may opt for more serious charges, which carry a heavier penalty. Marijuana is now legal in Washington, but similar to alcohol, there are restrictions for driving while under the influence of marijuana. Since BAC testing only applies to alcohol, a different chemical test is utilized for other substances. A driver is typically subject to arrest for DUI if their THC level exceeds 5 nanograms per 1 milliliter of blood. If you opt to refuse a chemical test, you may be subject to more severe penalties, but it also provides the prosecution with less evidence. So it makes for a more complex case. In Washington, the penalty for refusing a chemical test can include up to a two-year license suspension, along with a jail sentence of up to 364 days and a fine of up to $5,000. If you refused a chemical test following a traffic stop, it’s important to trust your case to an experienced DUI lawyer due to the added complexity. We recommend speaking with one of our attorneys in a free initial consultation. Once we understand the facts in your case, our team will be able to offer a more accurate idea of the possible penalties. DUI penalties are multi-faceted, often including monetary fines, mandatory court-ordered license suspension, revocation, and even jail time, along with program enrollment and probation. Why Was I Arrested for DUI After Taking My Prescription? There are cases where Snohomish County police can arrest someone who has taken a prescription and then got behind the wheel of their vehicle – medications that have been known to impair one’s ability to drive, even when the drug is taken exactly as-directed by a medical professional. Some individuals are at a higher risk of experiencing this type of problem, particularly senior citizens, chronically-ill individuals and individuals suffering from chronic pain. In short, if a police officer has reason to believe that a driver could have taken a prescription or other substance that impaired their ability to drive, it may lead to an arrest. Notably, though, since the case involved a prescription medication, it can serve as a mitigating factor in your specific case, particularly if the drug was taken just as the physician prescribed. Will I Lose My License After Receiving a DUI? License suspension and license revocation are amongst the potential penalties for a DUI, but this isn’t always going to be the case. License suspension timeframes usually begin at 90 days, but there are some circumstances where our Snohomish County DUI lawyers can work to assist you in keeping your driving privileges. It’s possible to appear before The Department of Licensing (DOL) – the department which looks after all driver’s licenses – in an administrative hearing. In most cases, a driver’s license suspension will go into effect 60 days following the arrest. However, if you act fast, you will be able to request an administrative hearing where your attorney can help you present the information in your case. The goal is to put you in the clear of any wrong-doing in the eyes of the DOL, which eliminates the potential for administrative penalties such as revocation or license suspension. The DOL does charge a non-refundable $375 fee to request an administrative hearing. Some clients may be eligible to seek a fee waiver. If the DOL hearing doesn’t act in your favor, it may be possible to figure out an ignition interlock driver’s license. With this type of restricted license, you will be required to utilize and install an ignition interlock device that only starts the ignition once the driver passes BAC testing. If a driver is granted an ignition interlock license, SR-22 insurance is required. The driver will also need to pay ignition interlock device installation, rental and maintenance fees. A driving under the influence arrest can affect virtually every area of your life, including your reputation, your career, your finances, your family and beyond. Combined with these consequences, it can be extremely stressful to find yourself facing the possible loss of your license, hefty fines and even possible jail time. At The Law Offices of Kevin Trombold, LLC, our team understands how stressful this type of arrest can be. Our goal is to understand your concerns, your goals and the details of your case; then, we work with you to develop a personalized defense strategy that serves to increase your chances of seeing a positive result to your case. Our experts also handle more complex cases, involving other criminal charges in addition to DUI. Let’s discuss your case in a free initial consultation session, contact The DUI defense attorneys at The Law Offices of Kevin Trombold, LLC. You can reach us at 206-382-9200.